Our selection of art and craft workshops and sessions are delivered by freelance artists and gallery staff. Each workshop connects to our changing exhibition programme. To book onto our forthcoming courses ring 0161 770 4742 or book online by visiting Eventbrite. Stuffed was our first taxidermy masterclass demonstration by taxidermist Jack Fishwick as part of Manchester Science Festival. 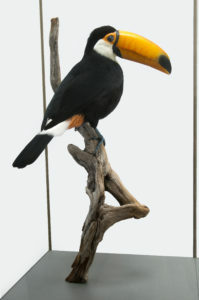 Back by popular demand Jack is with us again to showcase the techniques and tools he uses to create the beautiful pieces which will be featured in his latest exhibition ‘The Science of Art: Taxidermy by Jack Fishwick’. £35 – Early booking recommended, under 16’s to be accompanied by an adult. Price includes light refreshments and full-day masterclass demonstration. Booking essential via Eventbrite. Join us for three hands-on silkscreen printing sessions. 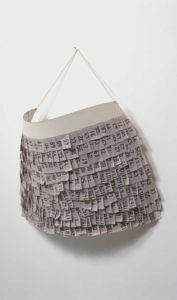 This versatile art form has endless possibilities of creating line, shape and texture on both paper and fabric. £40 for all three sessions – suitable for beginners and the more experienced. Price includes light refreshments and all materials. Booking essential via Eventbrite. Inspired by the ‘On Paper’ touring exhibition from the Arts Council collection try your hand at practising some of the techniques displayed in this fascinating exhibition. Suitable for beginners and the more experienced alike, book yourself a place on our artist-led workshops and find out more about this fascinating craft. Join us as we fold, cut, press and coil to make a range of constructions from greetings cards and books. All materials and light refreshments provided. Over 16’s only. £20 – Price includes light refreshments and all materials. Booking essential via Eventbrite. Experiment with colour and texture to create themed studies using a range of paper and card. For groups of all ages and abilities. Our Learning and Outreach Officer provides a range of hands-on activities, delivered both at the Gallery and off site at a venue convenient for you. Our Adult arts and crafts courses and workshops are designed to help you develop new skills, experiment with new techniques and explore new and unusual materials! Arts, crafts and heritage workshops are available based on our collections for a range of community and voluntary groups for all ages and abilities.